Pictured L-R: Ted White (RedNet Senior Technical Sales), Kurt Howell (RedNet National Accounts Manager), Blair Liikala (Director, Recording Services, UNT College of Music) and Derek Miller (Audio Technical Director, UNT College of Music), pictured in the Murchison Performing Arts Center with a portion of the University of North Texas College of Music’s arsenal of Focusrite RedNet devices. A portion of the University of North Texas College of Music’s arsenal of Focusrite RedNet devices, pictured in the Murchison Performing Arts Center, one of their main performance spaces. 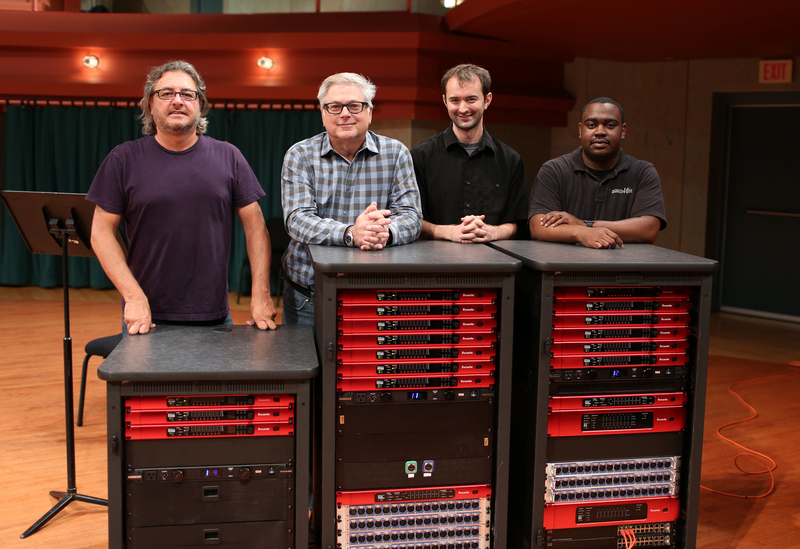 Audio DAWg principal Spunky Brunone, pictured with the RedNet units he spec’ed for the University of North Texas College of Music. 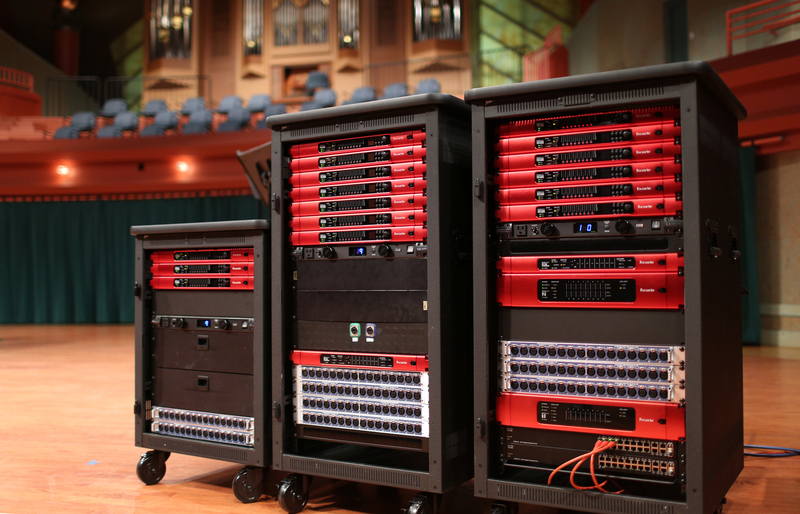 Photo caption 2: A portion of the University of North Texas College of Music’s arsenal of Focusrite RedNet devices, pictured in the Murchison Performing Arts Center, one of their main performance spaces. Photo caption 3: Audio DAWg principal Spunky Brunone, pictured with the RedNet units he spec’ed for the University of North Texas College of Music.